I’m a pretty simple cook. To be frank I’m better at weeknight kind of meals than fancy-pants guest type meals and entertaining. The only menu items I’m consistently able to pull out for any occasion, without poring over cookbooks and stressing out, are pasta and chicken. The trick for both, especially chicken, is in the spices. Here’s a quick and tasty version that works for family and guests. 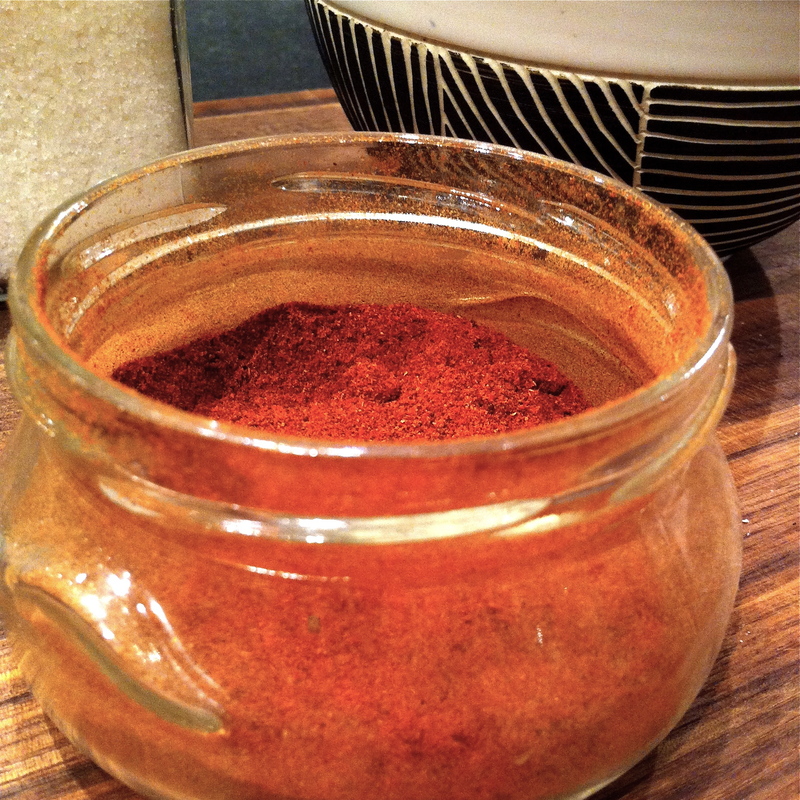 This amount of spice rub will do one whole organic chicken or 3-4 full size breasts. Mix all ingredients together and massage into chicken. Place chicken in baking dish. Cover with tinfoil, place in oven and bake. Approximately 20 minutes before chicken is at desired temperature remove tin foil and baste with any juices in pan. 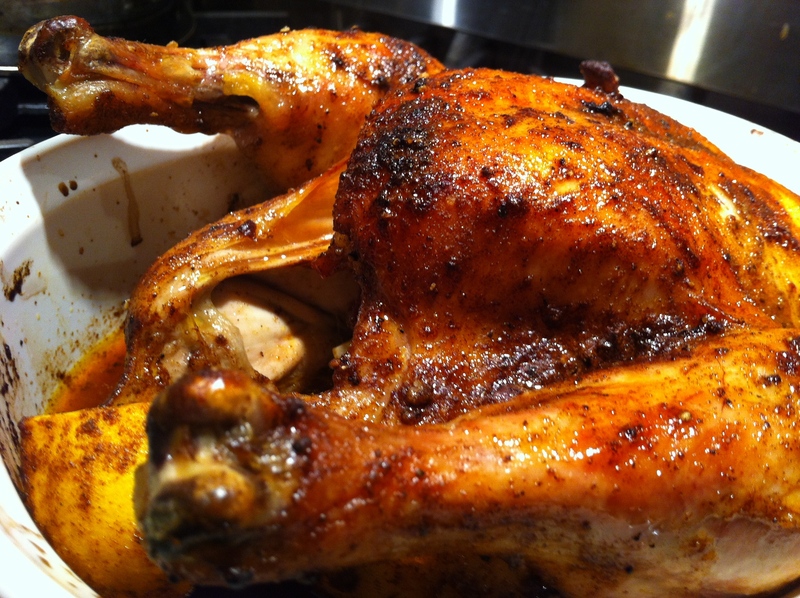 This entry was posted in Cooking, Food, Friends, Recipe and tagged chicken, cinnamon, garlic, olive oil, paprika, sea salt by mostlynoodles. Bookmark the permalink. This is my favorite chicken trick, too! You can add one more dimension to it — line the bottom of the pan with baby red or fingerling potatoes cut in half, skin side down. Put spice-rubbed chicken on top of that. Do everything the same. You get your side and your main dish cooked at one. Ultimate laze. I love one pot meals! But don’t limit yourself to just potato – sweet onions, squash, pumpkin, carrots…..the list is endless! Although to be fair, the sauce is divine over rice….or egg noodles and a touch of sour cream…. ! This sounds like an awesome trick. And I love the suggestion of putting the potatoes and veg in the dish too. I have smoked paprika would that work? Smoked paprika would definitely work!